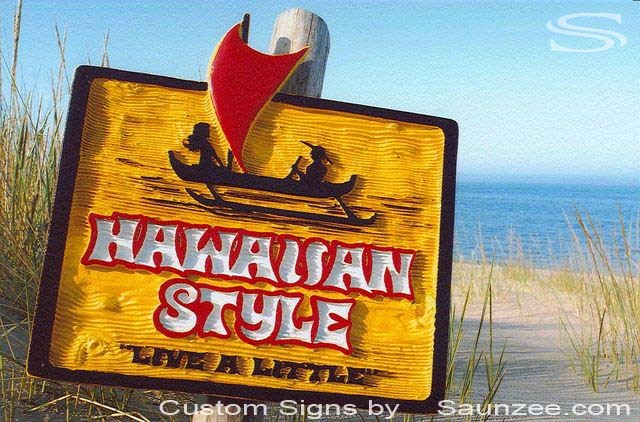 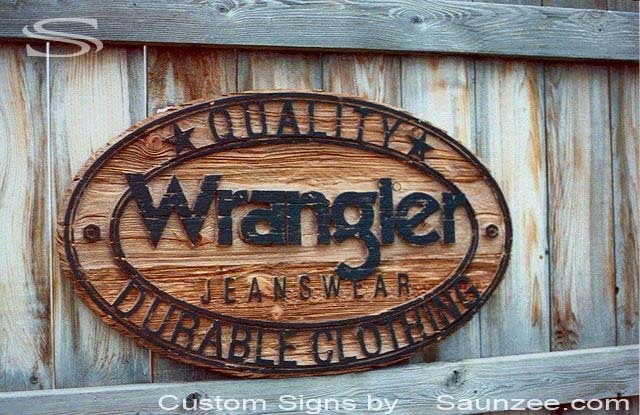 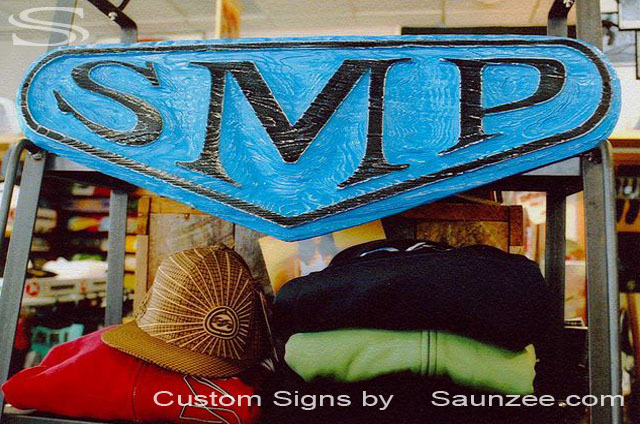 Saunzee custom 3d sandblast cedar wood signs Quality Wrangler Jeans Wear sign. 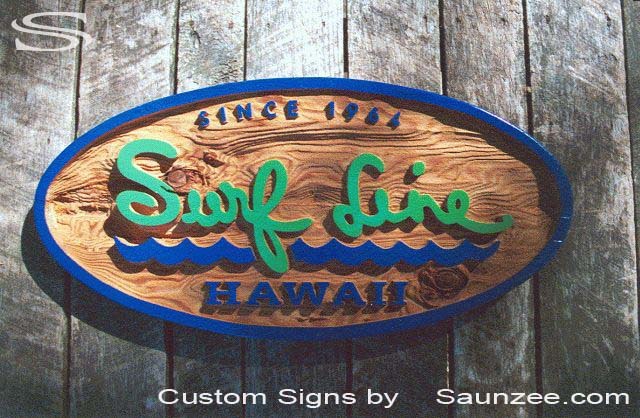 Sandblasted areas of sign to be see-through. 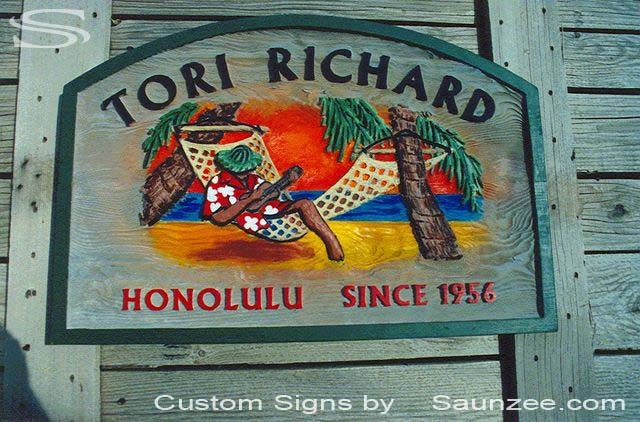 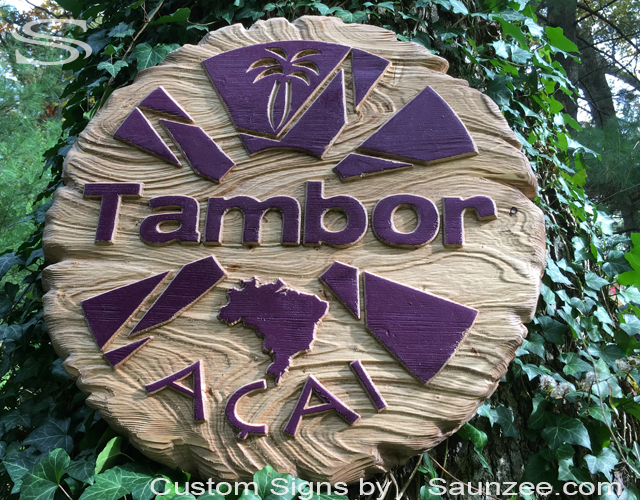 Saunzee custom sandblast sculptured wood signs, Tori Richard Honolulu Resort shop signs. 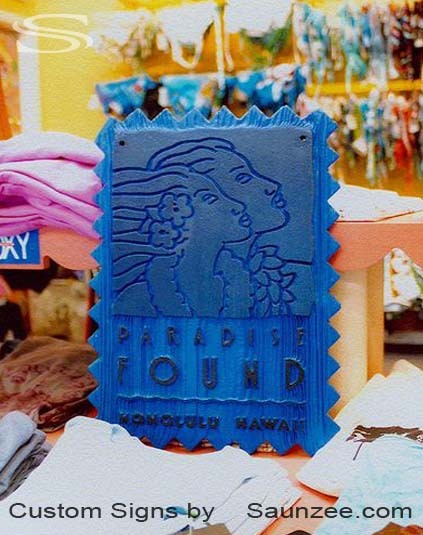 Paradise Found Honolulu Hawaii, Visual merchandising sign. 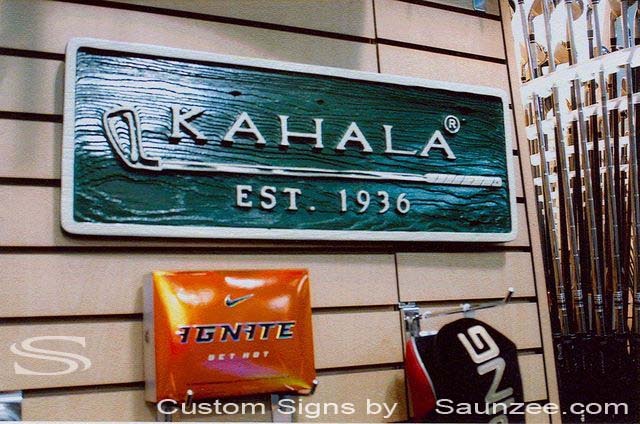 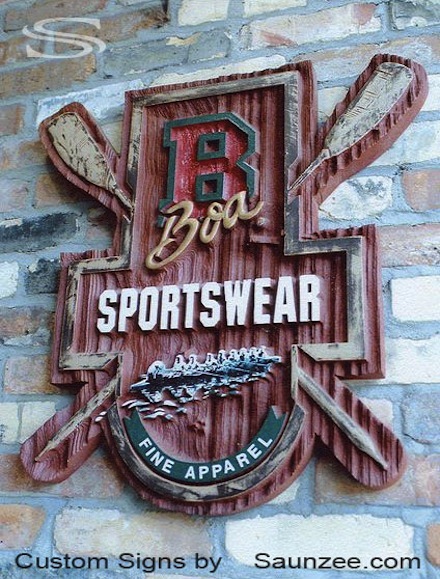 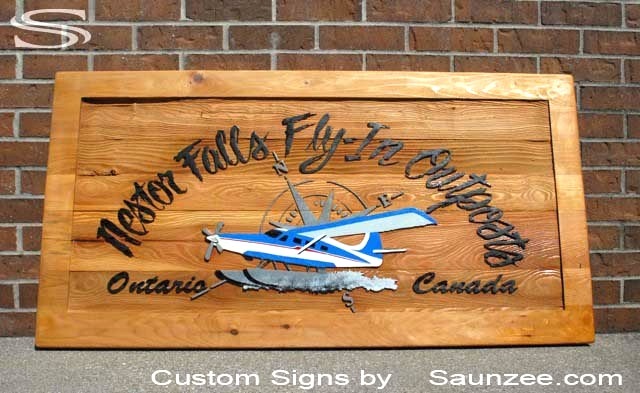 Saunzee custom sandblast cedar wood signs, Boa Sportswear outfitter retailer store sign. 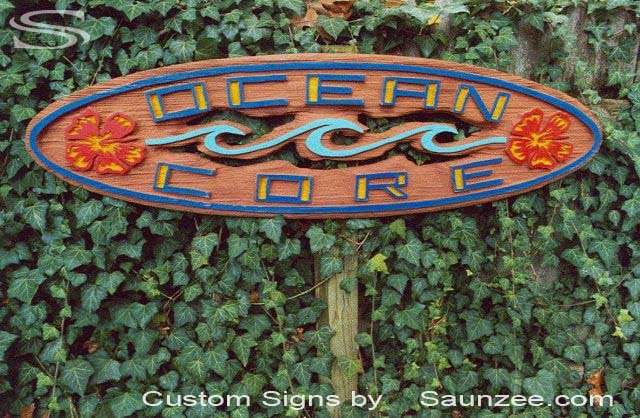 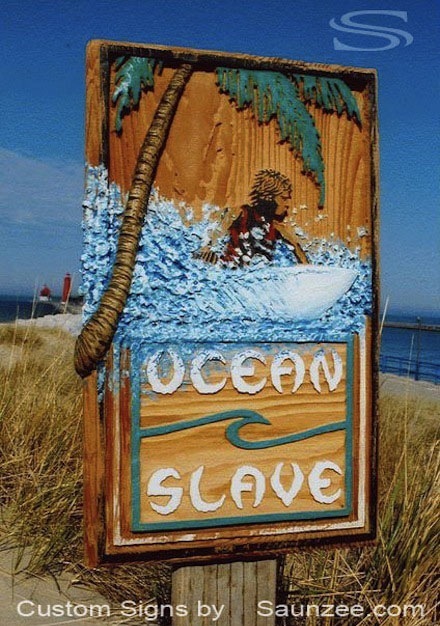 3-dimension sculpture cedar wooden island surf signs.